While gaining my Bachelor’s Degree in Sociology, many of my closest friends studied Finance, so they may disagree with the main principles of this blog. In writing this, I am making the claim that you can invest in the Stock Market and/or other alternative investments but your wisest choice would be to invest in yourself. This can take many forms, such as securing a degree, obtaining a new certification, attending training sessions on a topic and/or working with a Career Counselor (Shameless Plug!). 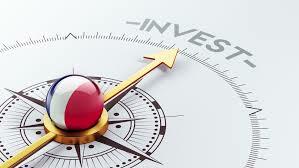 However, like any other investment it must be the right investment, in Finance you can lose on a stock and in enhancing your career you can lose money on your investment. Let’s take going to school to get a Master’s Degree, if you decide to pursue this route, many private schools can cost you north of $100k. As the investor, you want to make sure that there is a substantial difference between having a bachelor’s degree and master’s degree in your field. Also, if you are looking to return to school full time, you will need to factor in lost wages, lost increases and missed career progression. Sometimes a mix of certifications and continuing education training courses can produce the same result and can make for better increases. There is a wealth of information out there on how certain choices impact your earning potential. I want to state however that it is not always as straight forward as how much money am I losing or how much more can I make. I have clients that are looking to switch careers and sometimes going back to school or spending money on courses would be a great way to get their foot in the door. Also, sometimes you can’t put a price tag on the utility cost of going back to school or gaining a new skill. A utility cost is essentially your happiness factor or sense of fulfillment. My main message is that sometimes the best investment is in your career and in your professional happiness. I just ask that you take the time to think about what makes the most sense for you and you are making the right investment. I have made a career in trying to help my clients answer these questions and I hope to continue to do so for a long time. Save $30! Resume + Cover Letter. Get all of the benefits of both our Professional Resume and Cover Letter in one.